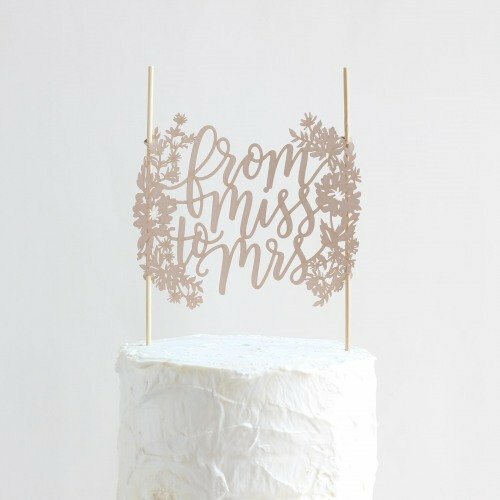 Complete the look of her bridal shower cake with this beautiful From Miss to Mrs. cake topper. Each cake topper is made of blush paper with a floral cutout design as well as the text "from Miss to Mrs." and two bamboo stakes. To complete the look, simply push each stake into the top of the cake.